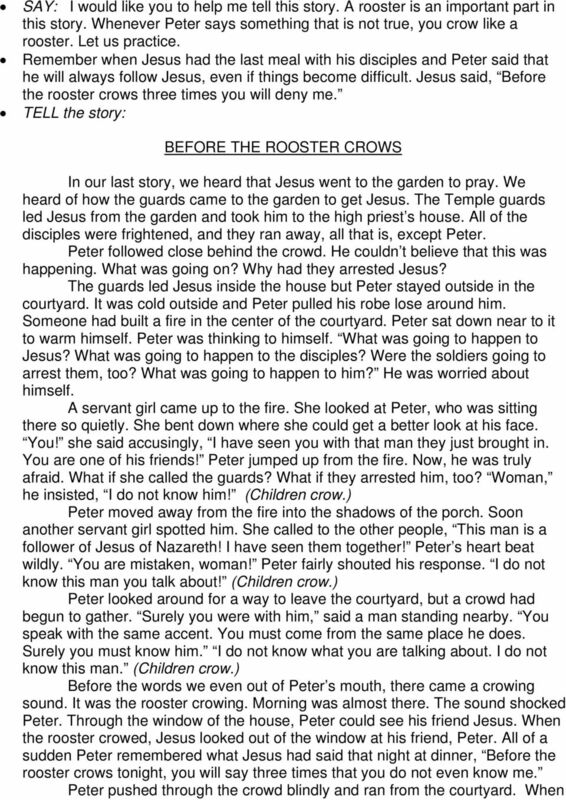 Download "BEFORE THE ROOSTER CROWS"
2 Peter s experience reassure you? Read Luke 22:59. No matter how much we want to be faithful, no matter how hard we try, we fall short. We mess up even when we are trying to do right. Ask God s strength to live faithfully. Read Luke 22: Are the children in your class in need of reassurance that God loves and forgives them? Offer comfort to these children this week. 1. INTRODUCTION TEACHING THE LESSON Greet the children. Make them feel welcome. Review of the events of Holy Week. 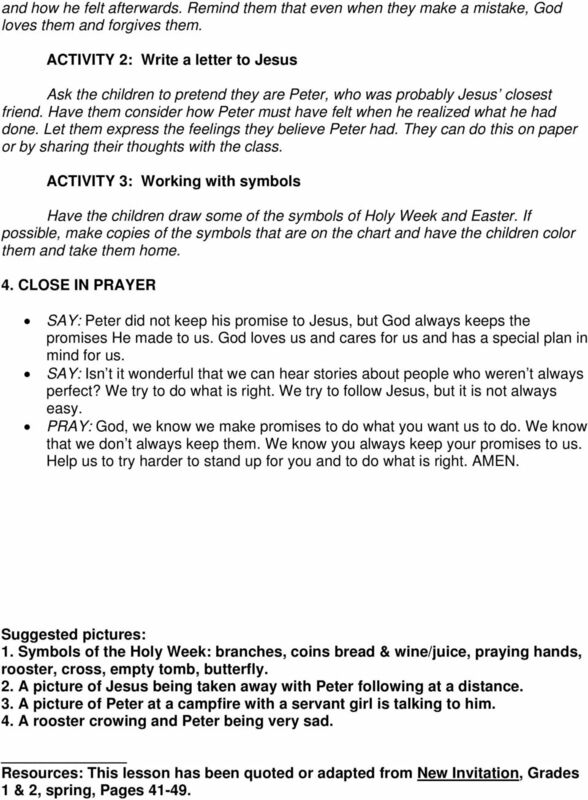 (Artist: Prepare pictures of the symbols of Holy Week. They are branches, coins, bread & wine, praying hands, a rooster, cross, empty tomb and butterfly.) Hold the picture of the symbols. ASK: What does each of these pictures/symbols remind us of? 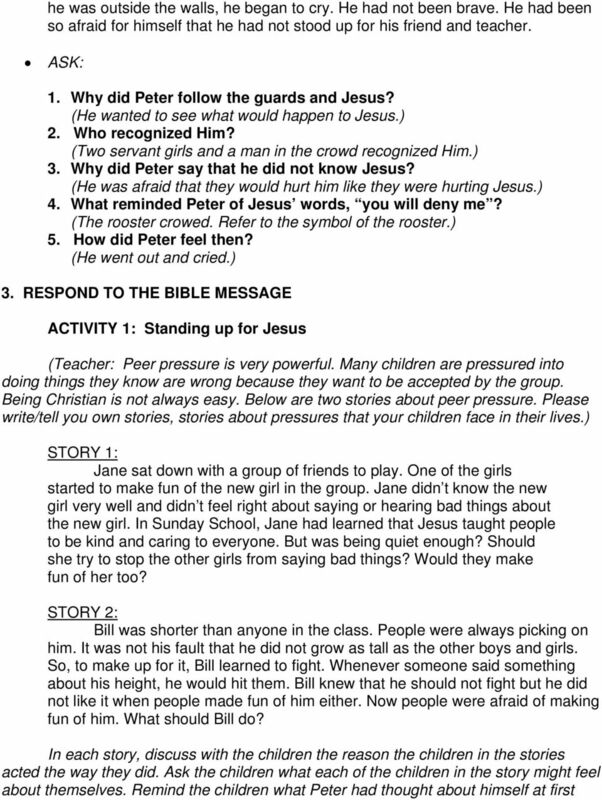 Encourage the children to review the events of each. Branches (People waved branches when Jesus rode into Jerusalem.) Coins (Jesus chased the money changers out of the temple because they were cheating people in the temple or Judas earned coins to point out Jesus to the guards.) Bread & Wine (Jesus served these to his disciples at the last meal with him. Jesus told them to remember Him.) Praying Hands (Jesus prayed in the garden. He told God that he was willing to obey no matter how difficult it was. He asked God for help.) Rooster Today we will learn what this rooster reminds us of. 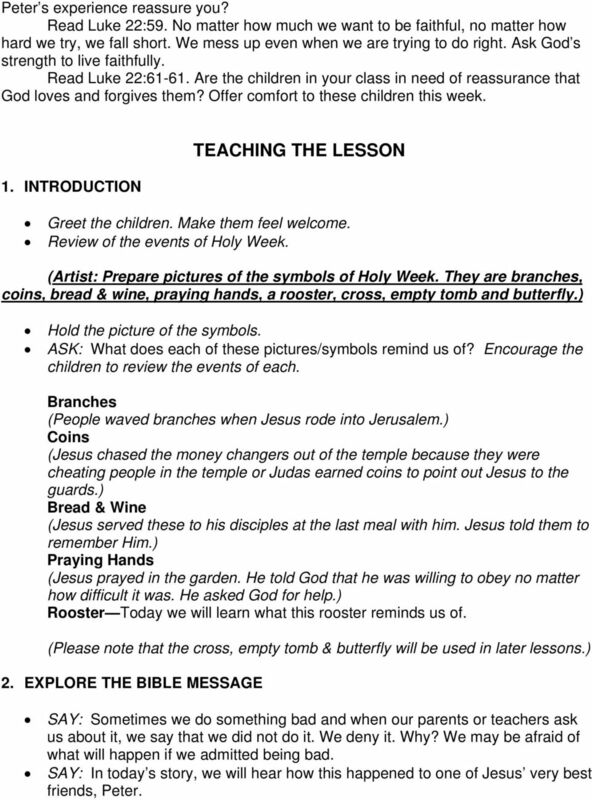 (Please note that the cross, empty tomb & butterfly will be used in later lessons.) 2. EXPLORE THE BIBLE MESSAGE SAY: Sometimes we do something bad and when our parents or teachers ask us about it, we say that we did not do it. We deny it. Why? We may be afraid of what will happen if we admitted being bad. SAY: In today s story, we will hear how this happened to one of Jesus very best friends, Peter. Main Point: Jesus is the one who is faithful. Main Application: Remember that Jesus is faithful even when we are not. Now Peter sat outside in the courtyard. And a servant girl came to him, saying, You also were with Jesus of Galilee.